Letterman’s has been managing printed information each day since 1949. 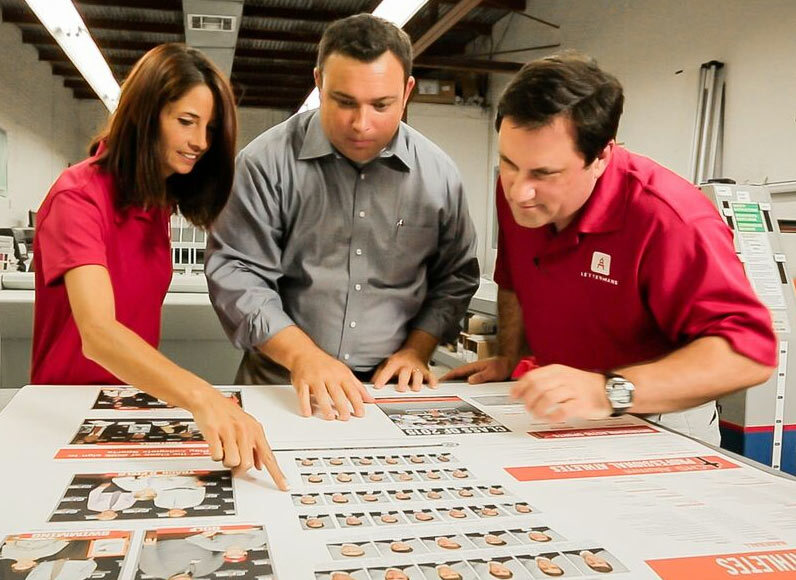 As a result, we’ve perfected traditional copying, printing, scanning, and finishing services using state-of-the-art technology. It plays a critical role in our document distribution systems that construction and design professionals have come to rely upon. Gulf South businesses in the AEC industry know Letterman’s has nurtured the kind of attention to detail you can’t find anywhere else. Look no further than our quality control measures to understand why. Letterman’s will double-check indexes, count pages, make sure documents are complete, and ensure that the most up-to-date revisions are included in everything you submit. If something is amiss, we’ll be sure to contact you immediately before printing the page. But our reprographic solutions don’t stop there. Whether you need signage for a construction site – prime real estate for marketing that’s often overlooked – or construction documents for use in the field, we have the experience, infrastructure, and institutional knowledge to support even the most sophisticated of installations. How have we maintained this focus over the years? It’s simple. Our workmanship has always been based on three principles: quality, service and price. For these reasons and more, Letterman’s is a reprographics partner you can trust. From your first point of contact to your last, we’ll strive to make your business endeavors a smashing success. Scanning, digital archiving, and cloud-based document distribution. Small-format digital imaging and reproduction. Wide-format digital imaging and reproduction. Wide-format laminating and finishing services. Letterman’s is a member of ReproMax, a global network of independent reprographers and printers. The Better Business Bureau has awarded Letterman’s an “A+,” its highest ranking.